The first images of official seasonal Fortnite pins have released. These pins are exclusive to employees and developers who worked on a particular season. These pins are meant to commemorate the team at Epic Games for their hard work on making Fortnite what it is today. It’s likely a very rewarding feeling to own all 6 of the pins, knowing that your contributions to the game have had a significant impact on millions of players. The Season 1 pin features a Golden Umbrella, likely to represent the birth and simplicity of Fortnite Battle Royale at the time. This decision also has players once again begging for a Golden Umbrella Glider reward, perhaps in due time. The Season 2 pin features a dragon on a red shield, a direct reference to the Red Knight Skin’s Back Bling which released around the same time. The Season 3 pin features what appears to be a meteor surrounded by flames, likely going through the atmosphere. This is a reference to the meteor events of Season 3 & 4. The Season 4 pin features the Visitor’s Rocket Ship, signifying a tremendous milestone for Epic Games. The Rocket launch was the first real-time in-game event in Fortnite. 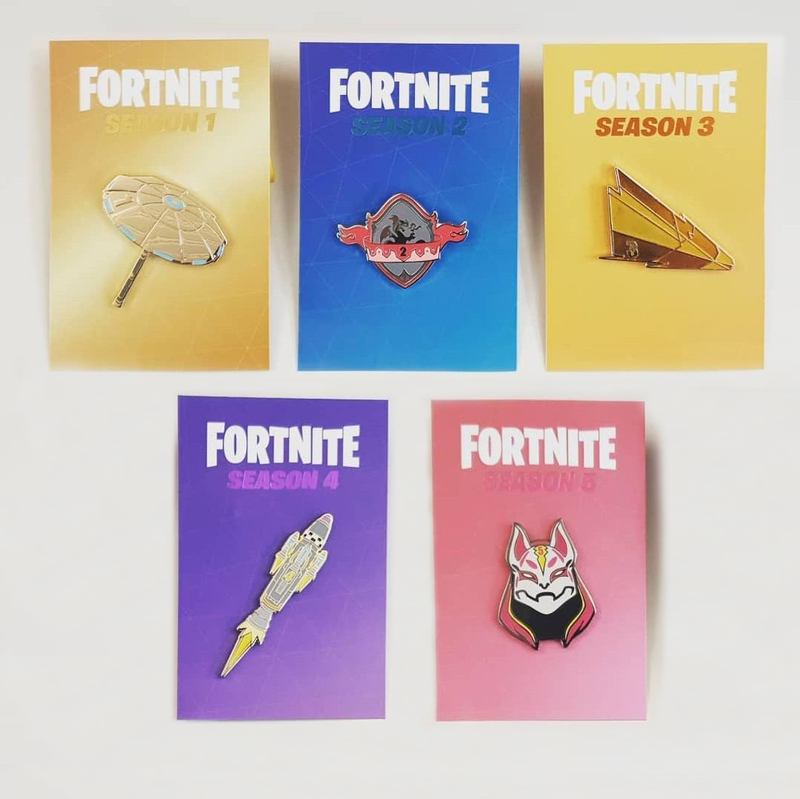 The Season 5 pin features the mask of the Drift Skin, this theme played a huge part in the original teasing and marketing for Fortnite’s 6th Season. While not pictured in the original image, Eric Williamson entered the Reddit thread to showoff the Season 6 pin. The Season 6 pin features the notorious Cube, casually known as Kevin. Kevin played a unique role in Fortnite’s 6th Season, traveling around and transforming the entire map. With Fortnite Season 7 currently ongoing, an official pin has yet to be revealed (or likely created). Congratulations to the team at Epic Games for the success that is Fortnite! The post Epic Games gifts employees seasonal Fortnite pins appeared first on Fortnite INTEL.